Jentri Quinn is a seasoned beauty professional, filmmaker & entrepreneur whose motto is foundation is everything. Jentri has been around the beauty industry her entire life. Her mom’s humble but successful at-home cosmetology business inspired her to eventually pursue an independent career in makeup. 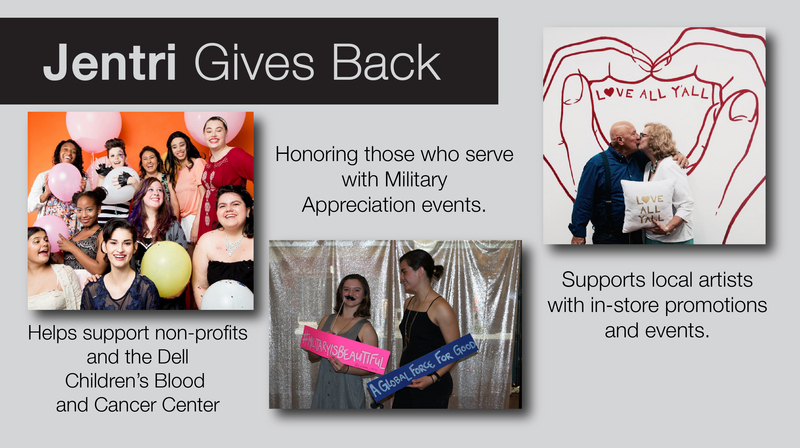 But it was Jentri’s desire to help serve clients who were experiencing skin conditions and diseases that motivated her to get her esthetics license and to create her own line of cosmetics. Jentri has transitioned from being a freelance makeup artist and full time esthetician to co-owning her own brick and mortar store and creating her own makeup line. Her collection of best-selling tinted primers and skin-adapting foundations are just a couple of client faves! Jentri and her partner, Alex, donate a portion of their time and event proceeds from their business, Cotone Clothing + Beauty Bar, to non-profits, independent organizations and charities year round, like Dell Children’s Blood and Cancer Center and school districts that are dedicated to improving the lives of children. Born and raised in Texas, Jentri lives with her hot Italian guy, Alex, (aka HIG) three senior pugs, and one five pound yorkie in Austin. "My brand was born out of a desire to help serve clients who were experiencing skin conditions and diseases that left their skin dehydrated and devitalized. 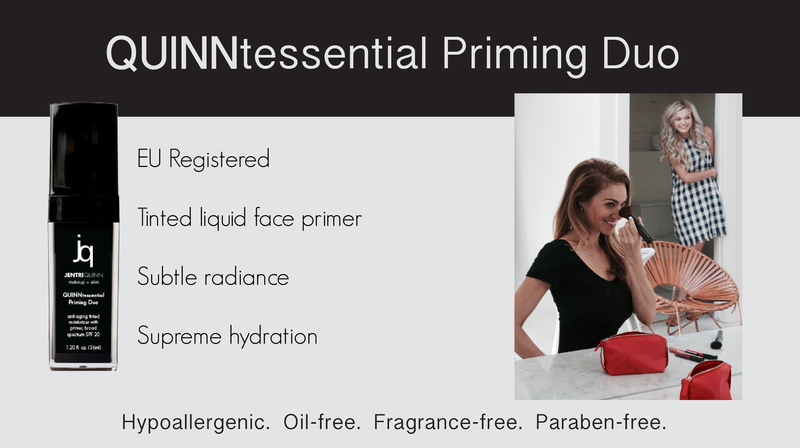 My cosmetics line offers products like my best selling QUINNtessential Priming Duo that help hydrate, prime, even out and protect the skin so that women can feel confident and beautiful again. My line offers hypoallergenic, paraben-free, fragrance free, organic and vegan options that include anti-oxidants, hyaluronic acid, anti-aging ceramides and peptides, as well as anti-inflammatory ingredients that aid the skin in healing and maintaining moisture for long periods of time. So, whether you're in need of a product to help you cover up imperfections, or you just want to be proactive and amp up your anti-aging routine so your skin can look healthy again- I've got you covered." After several boring office jobs laid me off in my twenties, I knew there had to be a better way to earn a living than to keep applying for jobs I DID NOT want. Jobless and with no formal education, for the first time, I began to think about what I really wanted to do for a living. I began exploring how I could make a living with my top two passions: makeup and film. I made it my goal to practice makeup at every opportunity and put together a portfolio. I taught myself how to create cosmetics and skin care in my kitchen. I also enrolled in college classes for film and began working on independent movies. It took many more years of part-time office jobs to build up my own business, and finish my film degree from UT. But, I was finally able to do makeup professionally, add an esthetics license to my skill set, and make my own films. The challenges I faced along the way made me passionate about helping women overcome obstacles both great and small and follow their dreams. Today, I use my background in beauty and film to educate, beautify, and inspire women to look their best and cultivate their dreams. I often get asked about my name and nationality. While I'm a good mix of French/Cajun, Native American, German, and everything in between, I was named after my pawpaw Jenks (aka John Quincy) whose nickname was JQ. He called my mom in the hospital and told her that my initials had better be the same as his!